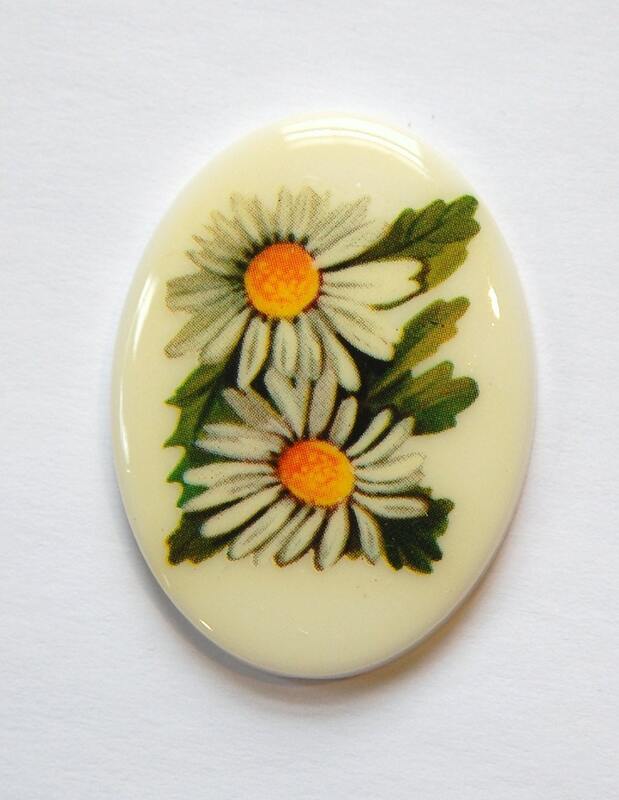 This is a vintage cabochon that was made in Western Germany. It features white daisies. This measures 40mm x 30mm. You will receive one piece. The base color of these is an off white color. The off white is a little darker on some. There are 20 different flowers in this botanical line. Check out all the different pretty flowers! This came to my house so quickly it's almost like they somehow shipped it before I ordered it.